When it comes to hospitality, tourism, and real estate advice, Australian native Bill Barnett is globally recognized. With over 30 years’ experience in Asia-Pacific, he has lived and worked in Phuket in Thailand for close to 20 years. The Founder and Managing Director of Asia-based C9 Hotelworks, he is considered as one of the leading industry experts in the hotel residences sector. Bill took time out of his busy schedule to chat to The Luxury Signature (TLS) and offer his insights into the luxury travel market and look at some of the trends that are happening in hospitality in Thailand, and specifically in Phuket, right now. 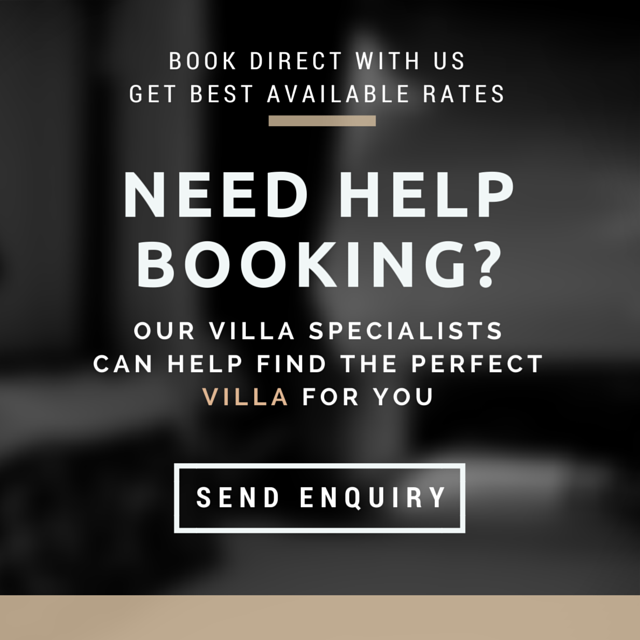 This is invaluable for private luxury villa owners and would-be owners looking to capture the market as well as interesting for local business owners too. TLS: What are some of the current trends in the hospitality industry in Thailand? Bill Barnett: Thailand, as well as the rest of the world, is seeing travelers who want to get out of the box. In the past many tourists never explored what was beyond the front door of their hotel and relegated hard-copy guidebooks to the wastebasket. Today, it’s all about experiences and as values are changing the hospitality sector has to as well, or else it will only become more marginalized. TLS: Is Phuket still Thailand’s number one tourist destination? Bill Barnett: Yes, it remains Thailand’s leading leisure destinations. Airport passenger arrivals in 2018 exceeded a record nine million. Geography and airlift are two key ingredients to the secret sauce. TLS: How has the landscape of tourism in Phuket changed in recent times? Bill Barnett: Certainly, mass tourism has come, just as it has to Bali, Boracay, the Maldives…or any tropical location with strong demand. The reality of urban resorts are upon us and this is not the end of the word. Look at South Beach in Miami or Hawaii, these have grown and evolved just as Phuket will. TLS: Have you seen any changes in terms of the luxury traveler in Thailand? Bill Barnett: Over the past decade, the luxury demographic has shifted down by 8-10 years. Gone are the Aman junkies and the new luxury travelers value finding local content, cuisine, tech, and wellness. Focusing on Phuket, there are lots of private aircraft that come to the island. With four large marinas providing access to super yachts, favorable door to door travel time, and world-class private villas are key demand generators. Phuket’s airlift is also key to its success, given the large numbers of visitors. TLS: Is there a greater focus on experiential travel rather than ostentation? Bill Barnett: Absolutely! Today, luxury travelers want to curate, personalize, and look for extraordinary holiday experiences. TLS: What are luxury travelers looking for in 2019 and beyond in a holiday destination? Bill Barnett: Niche products are growing, such as wellness of course, but it is about investing in yourself in terms of learning more and improving yourself, whether that be through yoga, meditation, spiritual renewal or simply getting fit. TLS: Do you feel there is potential in investing in upscale holiday homes for luxury visitors? How is this side of the industry changing? Bill Barnett: The link between global hotel brands and real estate continues to be a broad term. Two examples of this are the luxury chains of Ritz-Carlton and Four Seasons whose development pipelines have a large number of branded residences. Phuket has a rich history of nearly 30 years in the sector, starting at Amanpuri and Banyan Tree and now exclusive resorts like Trisara, Sri Panwa, and Andara have some of the most expensive island real estate in Asia Pacific. TLS: From personal experience, is Phuket the place to be? Bill Barnett: Phuket remains my favorite place to live in the world. I can go anywhere I want but this is where I choose to be. Bill Barnett’s expertise as a consultant and extensive background means that he is a go-to when it comes to gaining insights into the hospitality industry regionally. As well as working in a senior role at a corporate level in international hotel chains, he is also a development entrepreneur in his own right having co-developed residential projects in Thailand. He is currently the Chief Strategy Officer for FazWaz.com, a property marketplace platform. An important industry player, he participates in professional organizations too which adds to his knowledge and experience base. This includes being a member of the International Society of Hospitality Consultants (ISHC) which is a global network of around 200 professionals from the industry. Bill is also the Founding Advisor of the Phuket Hotels Association (PHA) which really shape many crucial developments for the island. Bill is involved with a regional beach club chain, Le Pirate International, and acts as the company’s Business Development Advisor expanding into various locations. An author of four books related to travel, property and hospitality, Bill is frequently asked to speak at industry events and conferences and has first-hand knowledge of the Thai market, undoubtedly enhanced by his experiences working and living on Phuket.